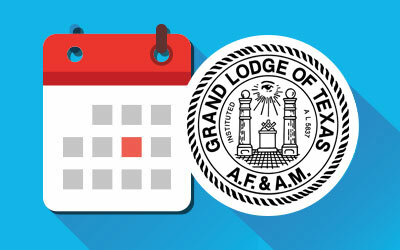 When appraisement is made of what was done during the Masonic year closing with the One Hundredth Annual Communication of the Grand Lodge of Texas, it will be found to have been notably a year of quickening among the Craft, of aroused interest among the rank and file, of renewed and increased activity, particularly among the smaller Lodges and those more remote from large centers. 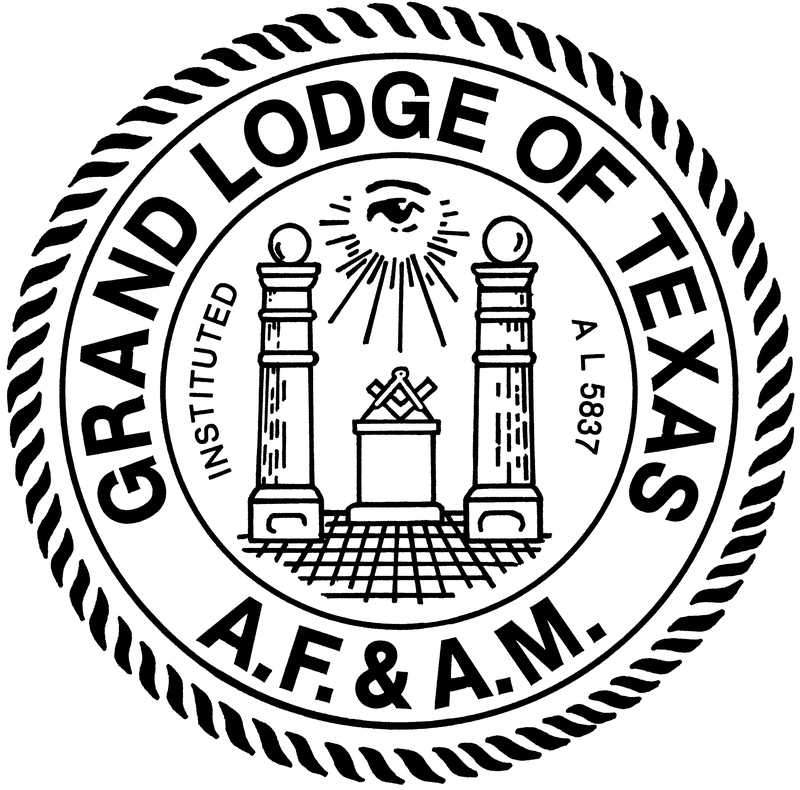 Somehow, over and above the administration of his office and the governing of the Craft, Brother John H. Crooker as Grand Master has reached out and enveloped in his interest the great body of members from the far reaches of the jurisdiction, and started a rejuvenation and awakening which will increase and gain momentum in succeeding years. It was natural and to be expected that his career as Grand Master would take just that course. Brother Crooker was born on a farm near Mobile, Alabama, on July 15, 1884, the youngest of seven children. When he was two years of age—so young that recollection of it is by way of tradition only and not of memory—his father was stricken and passed away. There was left a noble mother—in her care seven children to whom she must be father also—who with indomitable spirit carried on and reared her children to useful manhood and womanhood. Deeply religious herself, she imbued her children with the same reverence for Deity, the same fundamental faith in the all wise Creator. Somehow she managed that her children went to school and received a common-school education. By example and by precept she showed them as well as taught them the necessity for action, the dignity of work, and the priceless value of character. For several years she continued to reside near Mobile, Alabama, and there the earliest years of Brother Crooker’s life were spent. But the dark pall of economic wreckage which followed the Civil War still hung over the Old South. This mother, thinking of her children and their future—had the vision to see that a different environment, a new state, would probably offer greater opportunities for their welfare. And while her youngest child, Johnnie, was still only eight years old, she moved with her family to Houston, in the new state of Texas. This was just prior to what we now call the panic of 1893. As a matter of fact, the earlier stages of this panic or depression came in 1892, and the full impact of it hit the newly-arrived family. The result was that John Crooker’s boyhood had more than its measure of privations and lacked many of the privileges usually experienced by growing children. Faced early in life with responsibilities far beyond his age, required to assist in support of the family while still a youngster, there was forced upon his attention during those young and impressionable years, something of the problems, the difficulties, the injustices that come to the underprivileged and to the unfortunate. And as he has made his way through life, as industry has carried him forward, as fortune has smiled upon him, and as he has taken his place among the leaders, somehow his concern and his regard has remained primarily for those who are still in the rank and file and for those upon whom perhaps fortune has not smiled. In the every-day affairs of life, it is the man who lives by the sweat of his brow and the brawn of his arm for whom Brother Crooker seems to have the most regard and concern. In Masonry, again it is of the rank and file, the member “seated among the brethren” as distinguished from the leader and the officer and the past officer, of whom he seems to think most and with whom he appears to like best to associate—for whose welfare he is most concerned. So it is that the matters of instruction and of education among the Craft have received far more consideration during his tenure of office than any other one matter and that the whole trend of his administration has been directed generally less toward distinction or aggrandisement of particular individuals and more to development, help and benefit—perhaps pleasure—of the great body of men who actually constitute Masonry in Texas and who furnish not only its backbone and strength but its adornment and very vitality itself. It was the poet who, describing a great man, spoke of him as being one who “never lost the common touch” and if this language had not already been preempted, it would be particularly apt in description of our (now Past) Grand Master Crooker. Following his arrival as an eight-year-old boy in Houston, Brother Crooker attended the public schools there, from time to time seeking and doing such work out of school hours as could be found. Then early—too early—school had to be dropped in favor of full time work for the family support. But, when study as a major duty with work on the side had to be changed to work as a major duty, then study took its place “on the side.” During those early years of regular work, consistent study was a definite part of John Crooker’s program, culminating finally in admission to the bar and a place as one of the lawyers with right to practice in the courts of Texas. Followed rapidly election and a tenure of office as Judge of one of the inferior courts in Houston, then election to the office of District Attorney of Harris County—the County in which the City of Houston is located. Brother Crooker’s administration of this office was a notable one, and brought him prestice and distinction as lawyer, administrator and citizen. Men of affairs in Houston and leaders in public life then took notice of the achievements of the young District Attorney and his work in that office planted his feet firmly upon the ladder of success. However, during Brother Crooker’s term as District Attorney, the United States entered the World War. When this occurred, Brother Crooker resigned his office and enlisted in the military forces of his country. A little later he was appointed an officer in the Judge Advocate General’s Department, served as Division Judge Advocate of the 16th Division with the rank of Major and later, after the Armistice, served in the office of the Judge Advocate General of the Army, in Washington. The war emergency over, Brother Crooker returned to Houston and has resided there ever since, engaged in the private practice of law. In this he has been signally successful, and has participated in many of the most notable civil trials occurring in the State during the past fifteen to twenty years. Primarily an advocate, it is in the trial of cases before courts and juries, in the development of evidence, the examination of witnesses, the putting on of testimony and its effective presentation, that his most brilliant work has been done. But he has not limited himself to trial work—and the reports of the various appellate courts, both State and Federal, up to the United States Supreme Court, show the frequency of his appearance before those tribunals and the splendid manner in which he has discharged in those courts his responsibilities to his clients. While the law has been his vocation and he has been unusually active in its practice, he has yet found time for participation in civic affairs and public matters generally—bringing to these the same combination of happy enthusiasm and earnest purpose which have characterized and rendered outstanding his administration in the Grand Lodge. On December 31, 1913, Brother Crooker was married to Miss Rita Malsch. No true picture of the man could be presented nor understanding had of his career without taking into account the influence and help of the little lady who, on that New Year’s Eve, became Mrs. John H. Crooker. A beautiful family and home life has followed through the years and the two have climbed the heights together. Gracious, cultured, charming—finding her chief joy in motherhood and her greatest pleasure in home and family, this good wife has furnished much of inspiration for her husband’s accomplishments Their marriage has always been a real partnership in life and living, and neither would be quite complete without the other. They have been blessed with two sons, the first, John H., Jr., being some ten years older than the second son, Robert. These four, father, mother, and two sons, constitute the family. Naturally, Brother Crooker has given large measure of his thought and effort to the proper rearing and training of these two sons, and from this has followed, of course, an interest in boys’ work and in educational matters generally. This brief sketch does not permit of more than mention of these activities and details of them must be omitted. He is a communicant of the Protestant Episcopal Church, a member of Trinity Church of Houston, has served more than once on its vestry and is recognized as one of the lay leaders of its congregation. Brother Crooker is a member of Gray Lodge No. 329, at Houston, where he was raised in 1908. He served his Lodge as Worshipful Master in 1916. 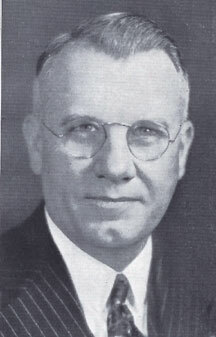 He has served the Grand Lodge of Texas on various of its committees during intervening years and at the communication in 1931 was elected and installed as Right Worshipful Grand Junior Warden, passing regularly through the several chairs to installation as Most Worshipful Grand Master of the Grand Lodge of Texas in December, 1934. He is a member of Washington Chapter No. 2, Royal Arch Ma-sons, and of Houston Council No. 1. He was knighted in Ruthven Commandery No. 2 at Houston and is a member of that Commandery. 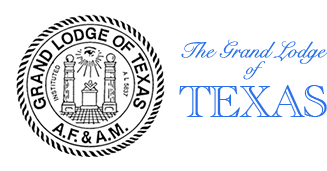 Brother Croaker received his Scottish Rite degrees in Galveston Consistory and is now a member of Houston Consistory, his Shrine membership being in Arabia Temple at Houston. Brother Crooker has given unstintedly of himself and his efforts. The achievements under his leadership have been notable. His energy has been infectious, his Ieadership inspiring and wise, his influence dynamic and positive. It has been his privilege to serve Masonry–he has served well—he has earned and has the gratitude of the Craft.